The look and the name nevertheless lend themselves to the building’s current use as a pub and restaurant whose present management showcases canine menus and Dog Beer. Red footbridge remains as only extant reminder of original South Gosforth station, built in 1864. South Gosforth Metro Station is located about 0.5 miles (0.8 kilometers) west of The Brandling Villa. Private and public transportation networks allow locals and visitors to access the Brandling Villa. The pub and restaurant claim a convenient location within comfortable walking distances of suburban Newcastle upon Tyne’s busy South Gosforth Metro station. Platform 2 functions as the site of the Metro Control Centre, whose construction between January 1, 1978 and August 11, 1980 necessitated the demolition of everything bricked in Tudor Gothic style for the interchange’s opening on June 27, 1864 -- the station master’s garden and house and the station office and waiting facilities -- except the extant iron North Eastern Railway footbridge. Platform 1 heads arrivals in the correct direction, down a small street to Haddricks Mill Road just minutes away. Self-defining, per locations east, north, south or west of Ouseburn. Some of the comestibles for The Brandling Villa are provided by local suppliers installed at Grainger Market, historic structure designed by John Dobson (1787 – January 8, 1865) and opened in 1835. Peter’s pies in Amble, Northumberland. Producing craft beers with garage-based kits and the Villa’s basement-housed brewery from Oban Ales of Kilmelford, Scotland. Ouseburn Valley Brewery.avi: "Nigel Mothersole first started brewing in his garage, where he produced beers for his friends and started supplying the Brandling Villa. This is a interview about how he start and running the brewery." The Brandling Villa’s bottles, casks, and taps shelter human-intended beers, whiskies, and wines. 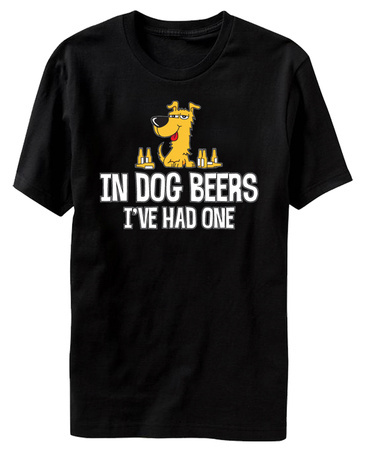 But they also yield beef-flavored, hops-free, non-alcoholic, non-carbonated, yeast-free Dog Beer in chilled bottles for serving people-style in glasses. Dave Carr has confidence in feedback from his beagle, Franco, definitely an alcoholic beer teetotaler. They have the welcome inclusion of Jack’s homemade special, cat gravy for dogs, as a pour-over or on the side. The special Sunday fare includes classic and doggie-style roasts. Everything is served at the same seating with the canine’s human companions. Dessert choices showcase chewy, low-fat, sugar-free, tartar-regulating treats. Dogs appreciate the responsibility of designated walkers. They like to sample what their human companions consume. They may overdose on the fat-soluble vitamins A, D, E, and K just as their human counterparts do. They must not ingest caffeine, chocolate, garlic and onions, grapes and raisins, and hops without consequences. Hops-free, non-alcoholic, non-carbonated, yeast-free Dog Beer fit the bill when dogs tipple. The Brandling Villa receives valuable input from resident pups such as Chef Sammy Dee’s Chihuahua-Jack Russell cross, Ladybird. "Brandling Villa." Facebook. Retrieved October 3, 2014. "The Brandling Villa." Perfect Pint: Beer > Real Ale & Craft Beer Pubs. Retrieved October 3, 2014. "Brandling Villa." TripAdvisor LLC: Europe > United Kingdom (UK) > England > Tyne and Wear > Newcastle upon Tyne > Newcastle upon Tyne Restaurants. Retrieved October 3, 2014. "Brandling Villa." Twitter. Retrieved October 3, 2014. "Brandling Villa." What Pub? St Albans, Hertfordshire, England: Campaign for Real Ale. Retrieved October 3, 2014. "Brandling Villa." Yelp Inc. Retrieved October 3, 2014. The Brandling Villa Blogspot. Retrieved October 3, 2014. "Brandling Villa Festival Goes with a Bang." The Journal: Culture > Restaurants & Bars > February 25, 2011. Retrieved October 3, 2014. Bunting, Joan. April 1981. "Gosforth, Northumberland." Know Your Parish 6(3). Davison, Rebecca. 3 February 2013. "Brandling Villa." The Northumberland Sausage Company Gourmet Sausages and Meat: Snapshot. Retrieved October 3, 2014. "Fergal Leonard." Twitter. Retrieved October 3, 2014. Fletcher, Richard. 20 January 2012. "Just Hopping to Estonia for a Brew; Beer." The Journal. Newcastle, England. Retrieved from MGN Ltd. via The Free Library October 3, 2014. "Meet the Team." The Northumberland Sausage Company. Retrieved October 3, 2014. Mitchell, Andrew. 23 January. "Ouseburn Valley Brewday." Oh Beery Me. Retrieved October 3, 2014. Mitchell, Andrew. 5 March 2013. "South Gosforth." Tyne and Beer Metro: Tyne and Beer > Stations > Beer. Retrieved October 3, 2014. "Mutts." The Brandling Villa. Retrieved October 3, 2014. "Nigel Mothersole." Linkedin. Retrieved October 3, 2014. "Our Story." Ouseburn Valley Brewery. Retrieved October 3, 2014. "Ouseburn Valley." CannyBrew. Retrieved October 3, 2014. "Ouseburn Valley." RateBeer: Breweries > England > Tyne & Wear. Retrieved October 3, 2014. Young, Alan; and Johnson, Brian. 30 June 2012. "Station Name: South Gosforth." Disused Stations Site Record. Retrieved October 3, 2014. Although dogs like to feel involved in their human family's activities and rituals, canine health requires them to teetotal alcoholic beverages, including beer. "Lars' Pup Shelia: My friend came by for beers and brought his puppy." 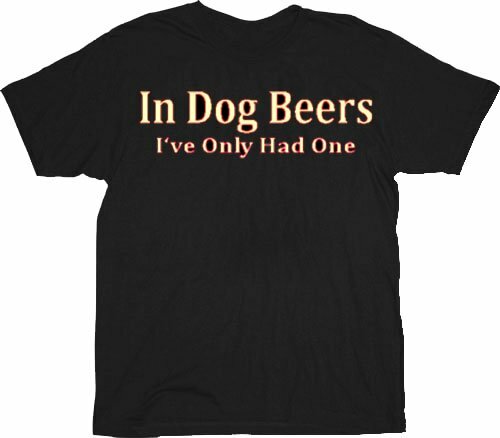 A t-shirt that's as much of a conversation opener as are dogs!